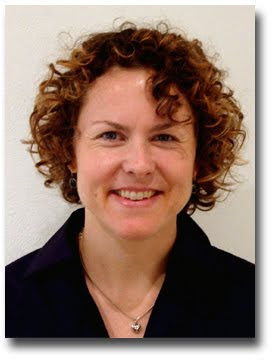 Meet our New Director of Peace & Justice! It gives me great pleasure to announce that the Rev. Carissa Baldwin has accepted my invitation to join the All Saints staff as the Director of Peace & Justice, effective September 1, 2010. I am grateful to the search committee, chaired by Will Watts, for their good and thorough work. And I invite you to introduce yourself to Carissa on her first Sunday, September 5, and welcome her aboard! So don't miss out! 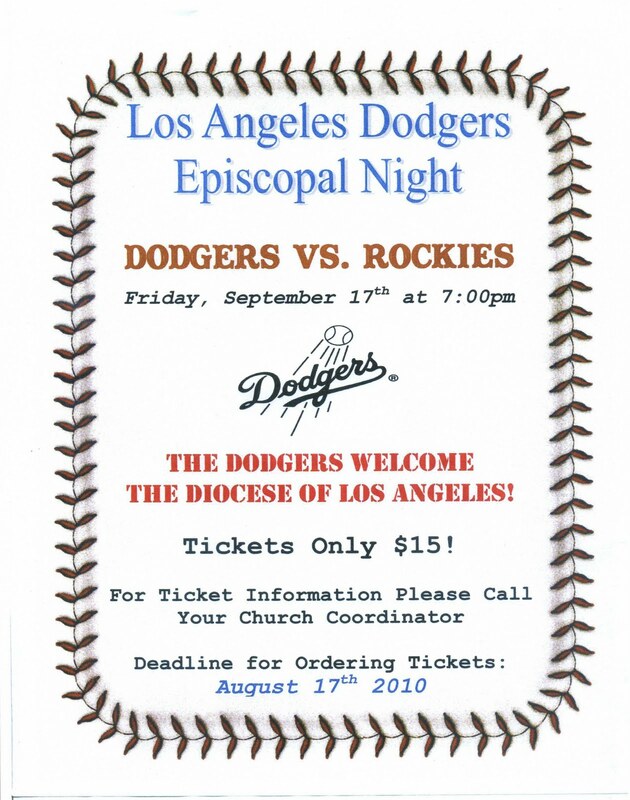 Join us in Chavez Ravine on Friday, Sept. 17, 7:00 p.m. 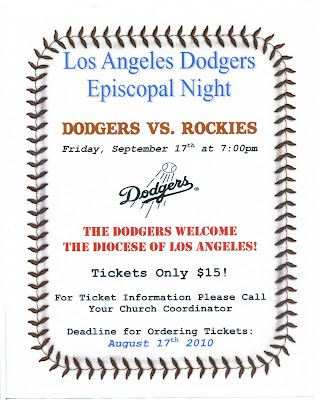 Please visit the Welcome Table on Sunday mornings to sign-up for the game between the Blue Crew and the Colorado Rockies. Tickets are only $15 and must be pre-paid. An All Saints Church parishioner brought to our attention this post ... part of a blog series by religious historian Keith Watkins. The series sets out (Watkins writes) "to outline characteristics of the church’s definitive liturgy of Word and Sacrament that meet three criteria: shaped by the historic tradition, expressed in the culture of our own time, and performed in a manner suitable to the occasion. In this first column of the series, I give a preview by noting characteristics of worship at All Saints Church, which I believe are consistent with these criteria." First, the celebration conveys the sense that what is going on is important—important enough for the leaders to be well prepared and skilled in the performance of their respective parts of the liturgy. 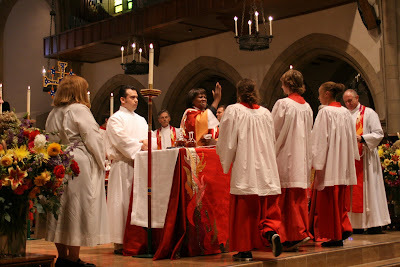 The liturgy is always well staged so that the visual and dramatic character of the event reinforces the meaning of the words and actions. The principal leader was at the top of his form. Although he and other leaders expressed a sense of personal presence, there was nothing trivial or inept about their words or actions. You'll want to read it all here ... and we'd love to know what YOU think!